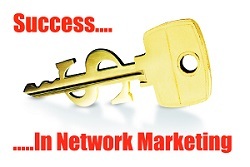 I’ve been a Network Marketer for some years (since 2008) and I have been in contact with diverse kind of people. This post is like a chronicle of my interaction with different people at different times. I have come across people who accepts Network Marketing immediately I tell them about it. I have also come across people who immediately turn their backs after hearing anything close to Network Marketing. I have also came across people who knows nothing about Network Marketing. There are diverse reasons people have given for not wanting to be part of a Network Marketing company. Below, you will find the top 5 reasons why people turn their back against network marketing. Make sure you read to the end so that you can get a full picture of what this post contains. To start with, if you have CAR an accident, is it not another CAR that would transport you to a nearby hospital? Agreed, we all have a bad experience but not all of us stay with the bad experience. We dust ourselves and pick ourselves back up again. This is because we know that a failure is not someone who falls and rise but someone who falls and stays there. If you are ready to become a success, look for a better Network Marketing company like Avenues to Wealth and get started immediately. The difference between extraordinarily wealthy people and those struggling to make ends meet is often just a matter of knowledge. And yet despite spending perhaps 12 years at school (and often more at university), most people have not learned how to become financially free – and hence the seemingly never-ending struggle. Network Marketing teaches you what you were not taught in school. Network Marketing will not work if you are not properly educated about Network Marketing. How many books on Network Marketing have you read lately? None I guess. That is why people like you shy away from Network Marketing. The good news is that Avenues to Wealth will teach you what you wish school had taught you – how to create streams of income that deposit money into your bank account whether you are working, playing, sleeping or on a 6-month cruise. Not only do we teach you the skills, we equip you with the strategies, tactics, and opportunities to achieve financial freedom in record time. Yes. Why would I pay so much and get something less? We all want more. The good news is that you can get Network Marketing company that offers you less signup fees and gives you benefits that supersedes your startup fee. That is one of the things Avenues to Wealth gives. You start with less fees and get international and local products and services that worth more than your start up fee. Fear is the passion of slaves. Do you want to remain a slave? If not, then Network Marketing is your best business. Network Marketing is for people who have overcome the force of inertia and made a decision to live their lives. Do you want to life? If yes, then you should face your fears and become a part of the best network marketing company I have been referring to. Of a truth, you need no experience to become part of a Network Marketing company. You will learn all you need to learn on the game. My advise is that you should get educated about Network Marketing and then commit yourself in doing what is required of a network Marketer. The good news is that we the members of Avenues to Wealth get access to all the marketing training, materials, tools, skills etc for free. 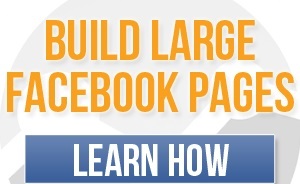 This is what some other network marketing company sells with monthly renewal. In conclusion, if you agree with these points stated earlier then you need to get above them and be part of a successful network marketing company I belong too. You will get ONLY good experience except that you want bad experience; you will be adequately educated and trained about network marketing and how to make it a business of your own; it requires adequate startup fee which is very small compared to what you stand to gain; you will take risk which will benefit you and you will get all the marketing tools and helps you need to be successful in the business. The benefits of a lifetime of residual income are worth working smart and hard for. Keep it up!